Dubbed, ‘Smile Business Solution’, the value proposition gives users access to a range of industry-leading data solutions, ensuring that businesses harness the power of the internet. Speaking during the launch, Tom Allen, the Country Manager Smile Communications Uganda explained that the Smile Business Solution will provide a fixed-link access and dedicated bandwidth for any capacity required optimized for corporate and business data communications. “The service offered is not based on data volume but on the bandwidth of the link. It is easy to set up and customers can enjoy the service the same day as ordering,” Tom Allen said. 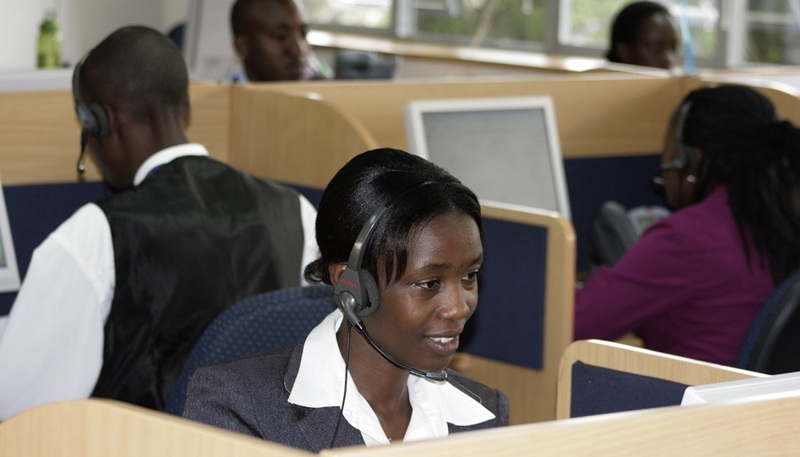 Smile Communications commenced operations in Uganda in 2009 with the trans formative objective of offering the best and most innovative technologies providing high quality and easy to use communication services. “Since then, our business model has evolved to adapt the latest technological advancements. Our milestone in Uganda was the launch of the first true 4th Generation Long Term Evolution (4G LTE) network in Kampala on 6th June 2013 – up scaling the way people access the internet and revolutionizing communication. 4G LTE is the latest technology in internet service provisioning and is becoming the global standard for mobile and fixed broadband access,” he said. He added that the benefits of 4G LTE predominantly lie in the radically improved user experience, which enables ultra-high-speed internet access, stimulating digital innovation and accelerating broadband penetration. Smile’s network in Uganda represents an investment of well over 40 million US dollars with current coverage in Kampala, Entebbe and Mukono. Additional coverage is being rolled-out across Uganda in a phased approach over the next few months starting with Jinja, Mbale, Soroti, Tororo, Lira, Gulu, Masindi, Kasese, Fort Portal, Kabale, Mbarara and Masaka. 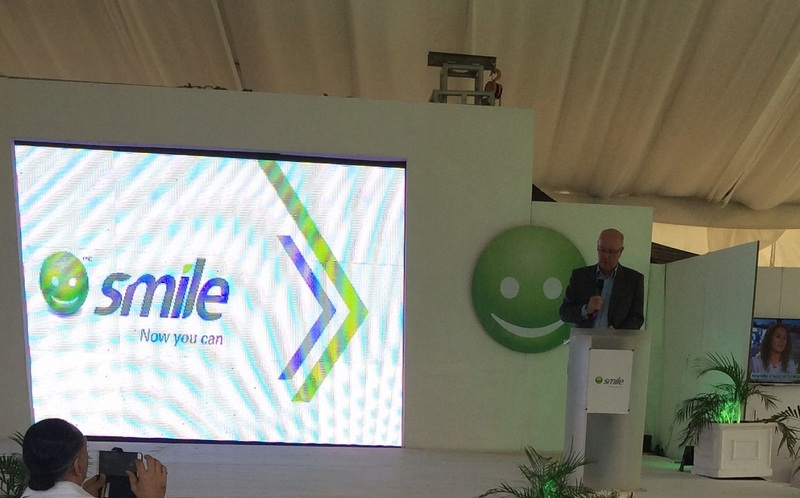 Tom Allen also revealed that Smile is in advanced stages of unveiling a High Definition Voice service; Voice over LTE (VOLTE). The Smile Voice service will also ride on its cutting-edge 4G LTE platform. This will be the first ever Voice over LTE service in Africa and in Uganda. The High Definition Voice calls will give instant connections, no dropped calls and no background noise. To show how close they were to launching VOLTE, he received a test VOLTE call in the middle of his speech. On Corporate Social Responsibility, Smile has put in place a number of initiatives to promote a knowledge-based society mainly focused on education as one of its pillars, supporting a total of 29 Universal Primary Education (UPE) and Universal Secondary Education (USE) schools on its CSR program within Kampala, Entebbe and Mukono. These schools are given a free router and free internet data per month to ensure that the students learning experience is continuous and un-interrupted. “We at Smile understand that education is the key that will ultimately unlock Uganda’s future and economic development. Our CSR initiatives will also go beyond just education. We are currently exploring possibilities of extending our activities to the health and agricultural sectors. We shall work closely with the concerned authorities to ensure that we optimally contribute our internet CSR services to the attainment of health and agricultural sector goals in Uganda more especially with research.” Smile Communications Uganda Chairperson, Beatrice Kiraso said. Smile’s Value Proposition is Speed, Quality, Reliability and Simplicity and its Vision is to be the broadband provider of choice in Uganda, enabling its customers to benefit fully from the internet.